Avail from our large assortment of Aluminum Rack, which is manufactured from superior quality of raw aluminum. We are highly acclaimed in this industry for providing an optimum quality range of Industrial Metal Racks. Metal racks of various sizes and designed for home as well as industrial use will be made. We are a renowned Manufacturer, Exporter & Importer of Metal Storage Racks. Our range of Metal Storage Racks is designed to handle heavy loads of multiple types of bars, structural shapes and sheared blanks. 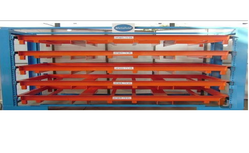 Our Metal Storage Racks are engineered to withstand normal rough handling and to provide maintenance free service. Sankyo Trading India Pvt. Ltd. Being a customer oriented organization, we are deeply engaged in offering a wide array of Metal Battery Storage Rack. 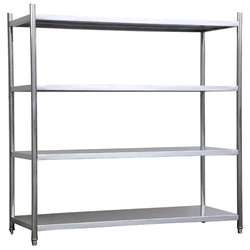 Our expert allows us to manufacture an ample range of Heavy Duty Shelving. We use sophisticated technologies and machines for the process of manufacturing. The salient feature of this system is it can be integrated with suitable material handling equipment for carrying material to various tiers and accessory components. It is mostly preferred by large scale industries. We are providing to our valued customers a quality range of Storage Racks. These are made up with high quality raw material. These are available in different sizes, colors and designs. Widely used in industries and warehouses. These are more durable and compatible in nature and also widely demanded in market. Glass agencies are the manufacturer of Storage racks. Heavy-duty racks designed for hand loading of bulky items, cartons, supplies and tools that require rugged, industrial duty, high strength rack in areas where powered lift equipment is not used. We are engaged in offering a wide range of Storewell that is available in different shapes, sizes, finish and designs to suit various demands of our clients.